Effecting a reputation recovery for Casey Anthony, the Florida mother who was acquitted of charges that she murdered her daughter Caylee, is a PR challenge that few would rush to undertake. One of most-hated people in America, reforming Casey could be an impossible task. However, I don’t agree. I believe there is every chance that she will find a way to leverage her notoriety to make a very good living as a result. It seems an initial shot was fired over the bow yesterday when Casey’s personal video diary was ‘leaked’ on YouTube. Within an hour of posting, there was blanket coverage in the mainstream media and outrage being voiced all over the social internet. Once again, Casey Anthony has shot to the top of news agenda! The 25-year-old was sentenced to four years in jail on Jul. 17, one year for each of the four fraud charges she was found guilty of, but she received credit for time served. She spent almost three years imprisoned while awaiting trial. The new video is masterful. It’s shot in black & white giving it a moodiness and an air of’ ‘times past’. Well, it worked for Dorothy in the Wizard of Oz! So why has this happened now? Perhaps it’s because the day the video was made, October 13, 2011 co-incided with Blackberry’s global outage. This had at least two implications…Blackberry dominated the news agenda that day which risked Casey’s story being buried, and the Blackberry outage inhibited a lot of people seeing things online thereby limiting exposure for the video. Better to wait for a slower news day. Will the reformed Casey Anthony become a social media celebrity and be able to achieve a viable payday? It’s too soon to tell, but it’s definitely a possibility. She was found ‘not guilty’ by a jury of peers and so is free to do what she wants’once she’s finished her current probation. She’s had enough time out of the limelight yet, she not been gone so long that people forget her. And, she seems to be getting some excellent PR advice and assistance which will help. 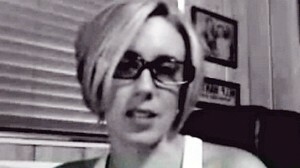 Although the public might hate her, fascination with Casey Anthony remains strong. This could actually work! FIR: Fire your PR agency?